Our program this month was presented by Mr. Glenn Huovinen. 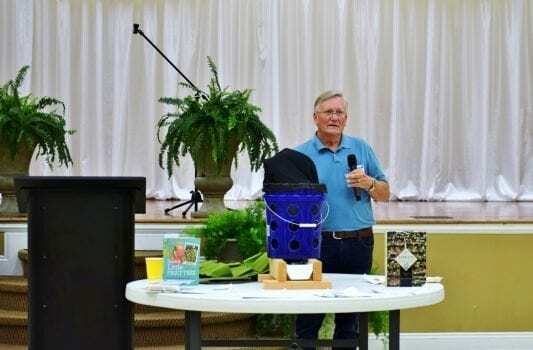 Mr. Houvinen, a Master Gardener in Autauga County, is working on his Advanced Master Gardener certification in “Gardening in Small Spaces”. 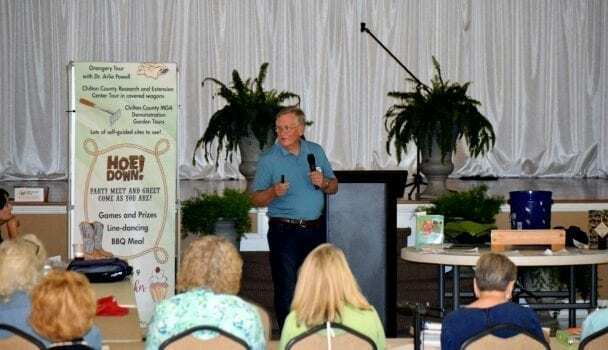 His program was very informative, outlining the process of drawing a plan, getting a soil test, deciding what you like to eat and want to grow, and whether to grow in a raised bed or containers. He also explained about hooking up a rain barrel to your gutter system to help with watering. Mr. Huovinen talked about how to air prune and irrigate pots. He even touched on the art of Espalier for growing fruit trees, since this is a very space saving technique. 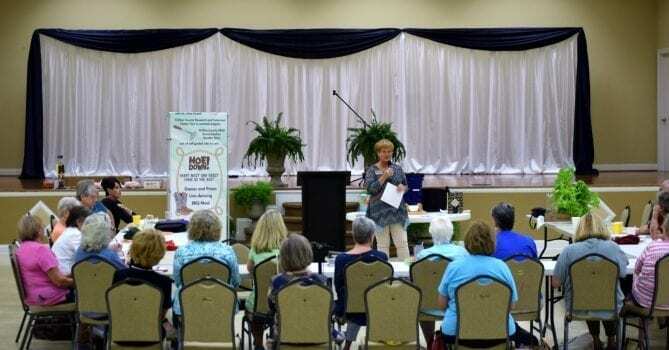 I think everyone enjoyed his program on Gardening in Small Spaces. Autauga County is partnering with Chilton County, along with Shelby County, to host the AMGA Conference at the Clanton Performing Arts Center in May 2019. Mr. Huovinen set up our scrolling banner displaying the activities and speakers we have lined up for the Conference. He talked about the great venue for the conference without having to change rooms or choose which speaker you want to hear. We are excited and working hard on getting everything scheduled and set up. 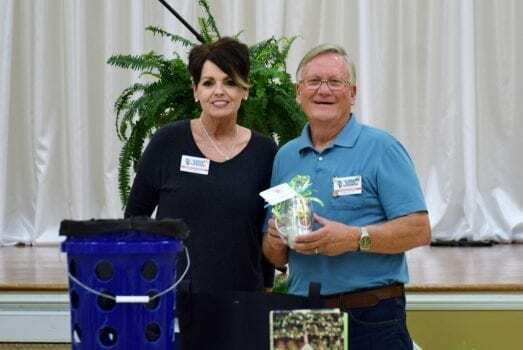 We have some excellent speakers, one being Joe Lamp’l from the television series “Growing a Greener World”, which is an award-winning PBS series. He was also host of Fresh from the Garden on DIY Network, and has been on The Today Show, Good Morning America, and the Weather Channel. The Conference is open to the public, but you must pre-register to attend. Registration starts in January, more information will follow.